Walking into Teddy Stadium in Jerusalem as part of the Maccabiah Games opening ceremony is very special for any athlete. Following your national flag, hearing the roar of the crowd, feeling the excitement of your fellow athletes who are sharing the moment with you, all combine to create a sense of exhilaration. Having experienced this before, in 2017 this feeling was not new to me. What was new, was that when I walked into the stadium this time, our Prime Minister’s video was playing on the big screen in the stadium and when he saluted the Canadian team, he mentioned me by name and wished me luck as his friend and colleague. As the stadium announcer said as we walked by, “that’s some pressure on Anthony with the Prime Minister singling him out.” As far as anyone seemed to know, I was the first Member of Parliament to seriously compete at the Maccabiah Games and I knew that not only were my friends and family and teammates paying attention to how I performed, but so were many others. While the pressure was on, my enhanced visibility also gave me an incredible opportunity. Maccabiah always allows you to make many friends and have incredible conversations with people from around the world who are competing. But this time, lots more people approached me. Ordinary Israelis who saw me on the street in Tel Aviv, expatriate Canadians living in Israel, athletes and their families from many countries who wanted to better understand Canadian politics and policies. Many of their questions involved Canada’s position with respect to Israel. I was pleased to let them know that I am one of a record 7 Jewish Liberal Members of the Canadian Parliament. All of us were elected for the first time in October 2015, when our leader Justin Trudeau became Prime Minister. Prior to 2015 many Israelis had become aware that Canada under our former Prime Minister Stephen Harper had become perhaps Israel’s closest international ally. While I had a number of disagreements with our former Prime Minister on domestic policy, I strongly favoured his support for the Jewish state. So did many other Liberals. And as we had promised in the 2015 election campaign, we have shown uncompromising support for the State of Israel since our election. Our government has maintained Canada’s votes at the United Nations. We join Israel, the United States, Micronesia and the Marshall Islands as the only countries to consistently oppose the unfair and systematic anti-Israel resolutions brought before the General Assembly each year. We have led the opposition to the unilateral recognition of a Palestinian State at international forums. We have adopted a Parliamentary resolution condemning the BDS movement and those groups in Canada supporting BDS. We have worked to enhance the Canada-Israel Free Trade Agreement. Prime Minister Trudeau has visited Auschwitz and I was privileged to be part of the audience at the Montreal island’s largest synagogue last Yom Kippur as he spoke to over 2000 people about that experience and his visit to Israel for Shimon Peres’s funeral, on Kol Nidre night. In Canada, like the United States, support for Israel has become a bipartisan consensus supported by both Liberals and Conservatives. I strongly believe Israel should not be an election issue in our country. Jewish Canadians should be able to vote on other issues, with the firm knowledge that whichever of our country’s major parties wins the election, Canada will be firmly in Israel’s corner. Having had the privilege of meeting a number of members of Israel’s foreign service during this trip and others, I know that the Israeli Government is very pleased with its relationship with Canada. I will work hard, as will many of my colleagues, to continue to enhance this vital link. When talking to fellow athletes and family members from other countries, I know their experience is very different. Whether it comes to security for the local Jewish community or the relationship between their nations and Israel, they have a very different life experience from me and my country’s Jewish community. I look forward to working as part of the World Jewish Congress’s International Conference of Jewish Parliamentarians to help Jewish communities in other countries advance these causes. Relationships I developed at these Games will be very helpful in this regard. In the end, these Games were very successful. I trained really hard and I won five medals in swimming. Going home with these medals gave me a great sense of accomplishment and national pride. But the relationships I made during these Games were equally, if not more important. I know many of them will last a lifetime. At the recent TrYathlon community fundraiser for kids with special needs sports enthusiast and champion swimmer, Anthony Housefather, Mayor of Cote Saint Luc and Liberal Candidate for Mount Royal riding showed everyone why he is the reigning Maccabiah Games Masters Swim champion. Housefather finished first in the men’s division and ended the TrYathlon in second place overall. Congratulations to our award-winning mayor. Not only is he an outstanding local leader but his physical skills allow him to excel and at the same time help others less fortunate. More at: MikeCohen.ca: Housefather shines at YM-YWHA Indoor TrYathlon for special needs. Five swimmers from the Côte Saint-Luc Aquatic Club competed at the Maccabiah Games held Israel in late July and early August. 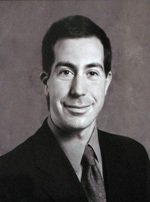 Mayor Anthony Housefather won seven medals for Canada in the masters division and David Hartal and Mikoh Benrimoh also each won two medals in the junior division. Alexandra Obrand and Robbie Laxer were also on the Canadian team and just missed the podium. Côte Saint-Luc Aquatic Director Martin Levine coached the Canadian swim team. “I was very pleased with my times and was honoured to represent my country,” said Mayor Housefather, who missed a gold medal by four tenths of a second in the 400 metre freestyle. Mayor Housefather won silver medals in the open water swim, the 100 metre butterfly, the 400 metre freestyle, the 50 metre backstroke and the medley relay. He won a bronze in the 200 metre freestyle, and the freestyle relay. Hartal and Benrimoh both won two bronze medals in the freestyle and medley relays and Hartal just missed a bronze medal in the 100 freestyle. The Maccabiah Games is an international Jewish athletic event, held in Israel every four years. The first Maccabiah Games were in 1932. The 2013 competition had 9,000 athletes from more than 70 countries competing in more than 30 athletic events. Canada sent a delegation of approximately 600 competitors and officials. M. Bergman : M. le Président, j’aimerais féliciter le maire de Côte-Saint-Luc, Anthony Housefather, qui s’est distingué lors des Jeux de Maccabiah, qui se sont tenus en Israël cet été. 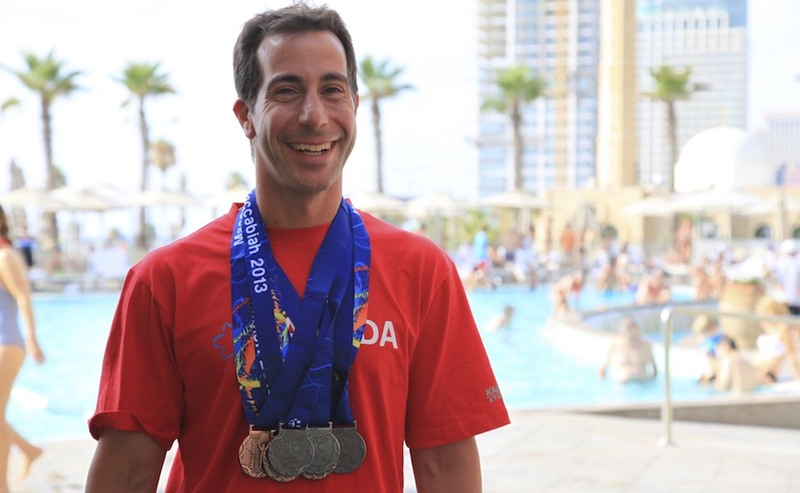 Anthony Housefather won seven medals for Canada in the Masters division of the swimming competition during the last Maccabiah Games. M. Housefather est certainement une source d’inspiration, autant pour les jeunes que pour les adultes, qui cumule plusieurs responsabilités. Mayor Housefather, qui est avocat-conseil pour une compagnie multinationale en plus d’être un maire bien-aimé d’une municipalité, trouve le temps et l’énergie, mais aussi la détermination de s’entraîner pour être l’athlète de haut niveau qu’il est. Mayor Housefather, congratulations, you’re definitely a source of inspiration for us all. You show us that, even in the hustle and bustle of our daily lives, determination and discipline can bring us even further. You’re also a superb and well-liked mayor of Côte-Saint-Luc. Thank you. 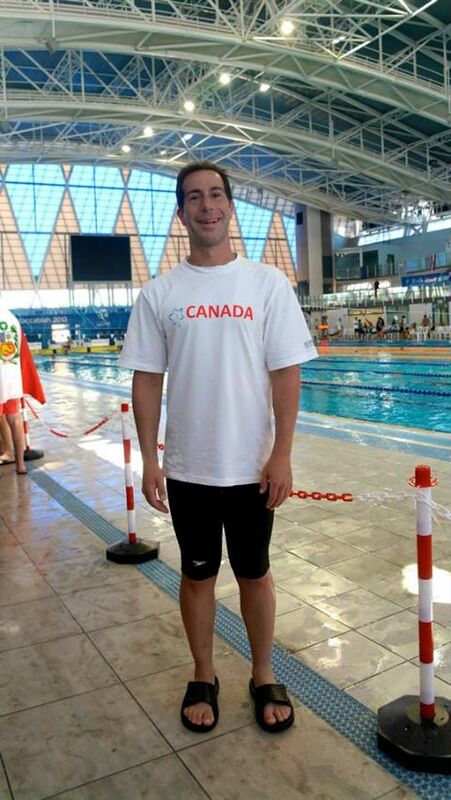 From Maccabiah news: Master’s Swimming: Anthony Housefather the mayor of Cote-St-Luc on the island of Montreal and the visionary behind the building of their aquatic Center and swim team is racking up medals in Masters swimming at the Maccabiah. This past Wednesday he won the bronze in the 200m freestyle with a personal best time beating a field made up of swimmers from Venezuela, South Africa, Hungary and Israel. On Thursday, he crushed most of the competitors in his field swimming by finishing the 100 butterfly in 1:10.04 clinching the silver medal. Larry Bell and Ami Trauber also added to their medal counts on Friday. Yesterday, on Friday, the Cote Saint-Luc Mayor won two silver medals. 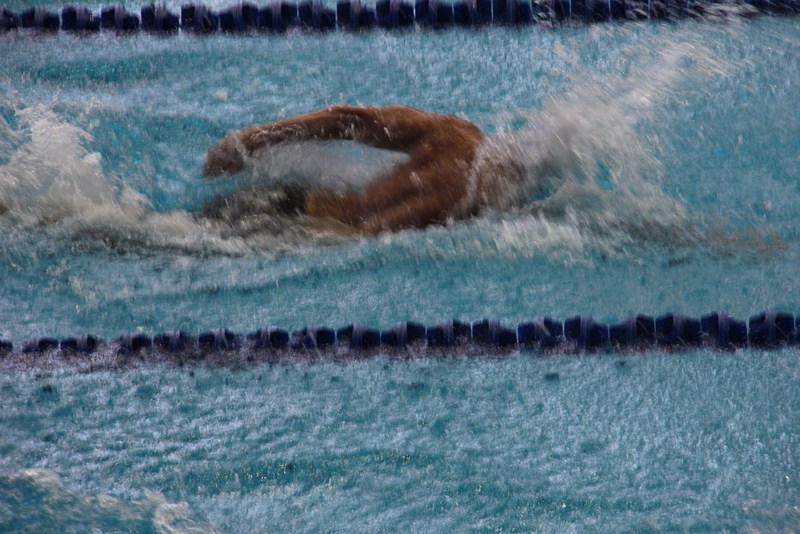 The first was in the 400 meter Freestyle. He missed the gold by 4/10ths of a second). His second silver was in the 50 meter Backstroke. Housefather also came 4th in the 50 meter Fly and missed the medals by 16/100ths of a second. He and his teammates also won bronze in the Medley Relay. The final tally from the pool is 6 medals (3 individual silvers, 1 individual bronze and 2 relay bronzes). The Maccabiah Canada Master’s Swimming manager believes this is a record for most medals won by a Canadian in the games so far. The final competition for Housefather is the Open Water Swim tomorrow. Go Mr. Mayor!! Cote Saint-Lucers are proud of your accomplishments and continue to cheer you on!